To me, a horizon is more of a concept that an actual line- why? You can never get there. One thing I do constantly in my work is seeking out new territory- in imagery and processes. Currently, I am trying to achieve dimensionality with the use of a needle and thread and a few common materials to sculpt the surface of the fabric. 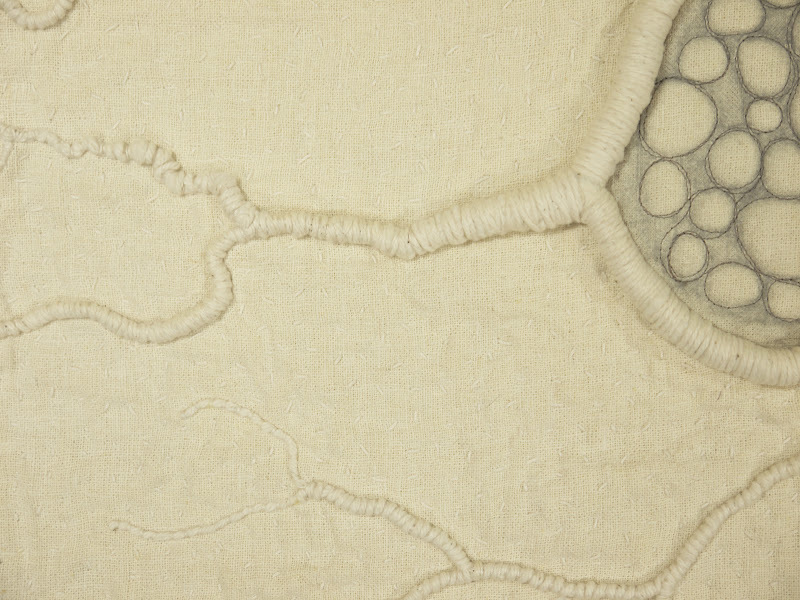 In this piece, I've used hemp, kitchen string and crochet cotton to form an abstract image of a neuron. Horizons begin in our brains, we look for them, strive for them, and constantly new ones appear. Neurons connect in many dimensions, ever changing and expanding, just like artists who are always seeking new challenges. It's so interesting to see the different interpretations of a theme by each artist. What an inspiring and sublime idea - 'horizons begin in our brains'. I've written that down for future reference. Love it! Beautiful work, Betty. Amazing, Betty.....I love your white on white work. I'm stuck on the "connecting in many dimensions, ever changing and expanding" part. This really is the metaphorical challenge! Betty, I love the simplicity of this piece. Your detailed thread/yarn work is beautiful. These challenges are so interesting and I'm always thrilled when it is reveal day. 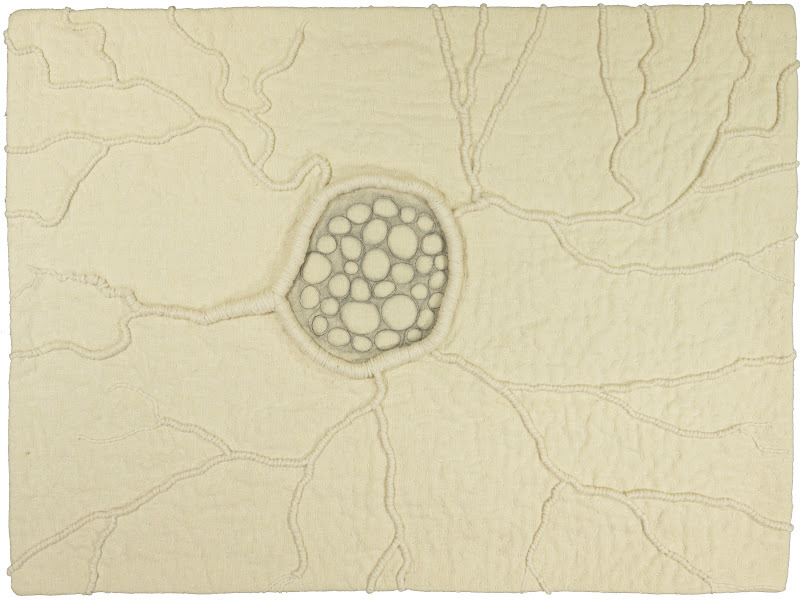 Betty I'd love to see your quilt in person, as I'm seeing some white on white stitching in the background as well as the great ropey effects of the pulsating neuron. I really love the simplicity of this design and your quintesential execution in thread and fabric. And yet, it speaks volumes. Beautifully done!